Grayslake,IL - The Youth Department of the New Gračanica and Midwest Diocese organized the third annual Winter Youth Retreat at New Gračanica Monastery from December 26-30, 2013, entitled “Don’t find yourself in whatever; recreate yourself in the image of Christ”. The number of participants this year doubled to 60 +. His Grace Bishop Longin welcomed the youth and had a very nice conversation with them. He shared some memories from his youth and, answering their questions in a brilliant way, touched upon the most sensitive and crucial matters of their growing up in this time and society. The schedule was very rich and dynamic and yet provided enough time for contemplation, chatting, relaxation, singing and playing. Aside from the main theme of the Retreat, there were lectures on: “Why is it awesome to be Serbian Orthodox?”, “24-hour prayer cycle of the Church,” “Does God really exist and why should I have a relationship with Him?”, “Sisters (KSS) in Church in 21st-century,” “Confession and Communion,” “Dating and choosing a spouse,” “Temple Guardians”. The lecturers were priests Radovan Jakovljević and Nikola Radovančević, Protinica Ann Krošnjar, Deacon Nikolaj Kostur, deacon Marko Bojovic and Gordana Trbuhović. Djakonica Biljana Bojović practiced some liturgical music and traditional church and folk songs with the youth. The program included watching two very interesting and inspiring short movies: The Butterfly Circus and Most (The Bridge), as well as a panel discussion on the first two movies from the Hunger Games series. The retreaters also had a short course in self-defense by a world renowned martial arts teacher and devout Orthodox Christian, Mr. Thomas Frazer. 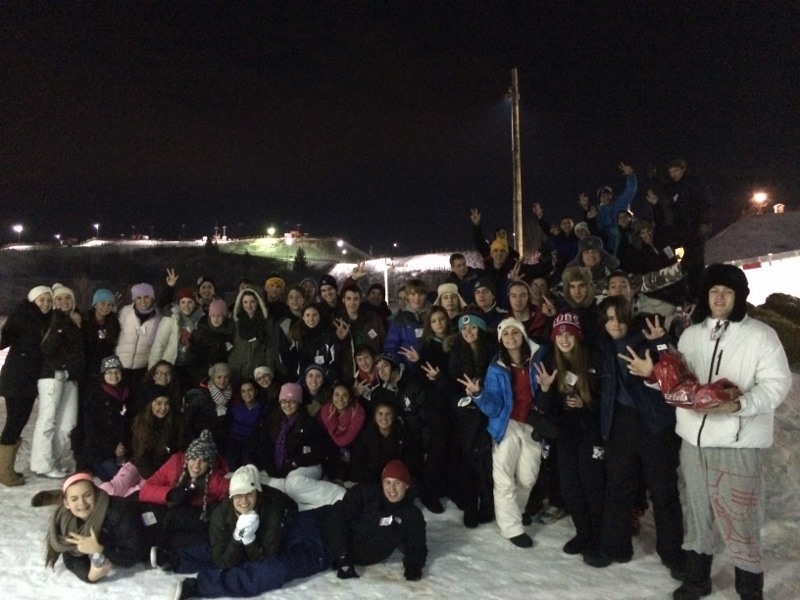 They also enjoyed snow tubing and many winter games on the monastery grounds, as well as the healthy and delicious lenten meals prepared with much motherly love by teta Mira Andjelković, the Diocesan KSS President and teta Ljiljana. Teta Mira also prepared very nice gifts for the youth on Sunday after liturgy, celebrating the Serbian Mothers’ Day – Materice. In return, the youth prepared a very nice musical program for her and other mothers and sisters after the lunch. The priests who were with the retreaters all of this time, as their true fathers and friends, were the beloved Dragan Petrović and monk Serafim Baltić. The leaders of the Youth Department did not spare themselves, having so many discussions with the youth on all sorts of topics, which may be of crucial importance at their age and stage. They were assisted by other Youth Department members, including Deacon Marko Bojović, Sandra Glišić, Katarina Ivančević and Milica Vuksanović, as well as other wonderful college students (Slobo Jevtovic, Stojana Ivancevic, Kosovka Spreco, Tamara Beric, Nikola Lukic, Ana Alavanja, Milijana Delic, Aleksandar Coralic, Ana Mihajlovic) who served as great helpers and excellent role models to the high-school students. All the residents of the Monastery, Prota Milorad, Archimandrite Toma,Hieromonk Filotej, Subdeacon Paul and Monk Simeon also contributed to joyous and prayerful atmosphere of the retreat and loved the presence of the youth, and the youth felt the same about them. In the course of five days, the youth had the opportunity to experience all services of the daily prayer cycle of the Church, including the so called “Mount Athos Experience” on Saturday, when they woke up at 4 am and had a series of services, which they all participated in by reading, and endured with surprising enthusiasm and monastic fervor. On Saturday evening, all retreaters had confession during the Vigil and asked each other for forgiveness, in the way we do it on the Forgiveness Sunday before the Great Lent, and repeated the same at the very end of the retreat.